With more than 1.3 billion active users worldwide Facebook is looking for ways to monetize Facebook Messenger. However, advertising via message is interruptive and including ads into Messenger has limited potential. Facebook experimented with Messenger bots which enabled users to communicate directly with brands on the same platform. While bot adoption is growing, it’s growth is slower than Facebook would like and with the limitation that small businesses don’t have the technical know how or resources to build their own bots, restricting adoption. 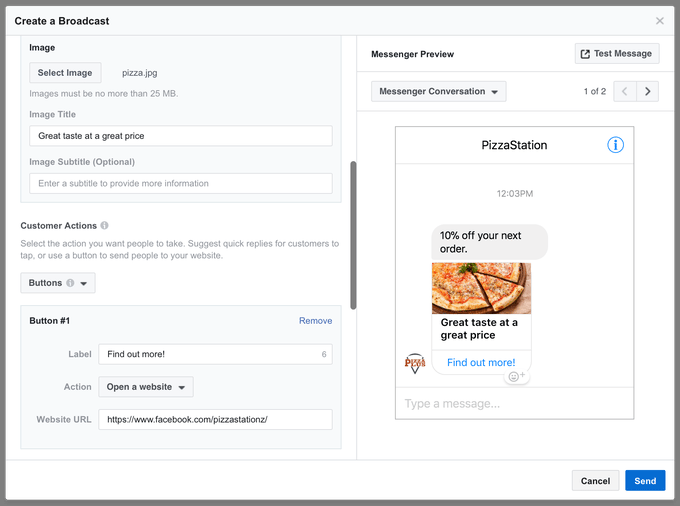 As reported by TechCrunch, Facebook is rolling out a new test of a self-serve sponsored messaging tool, which will enable brands to mass-send promotional messages to anyone who’s already initiated a conversation with them on the platform. The process seems fairly straight-forward – businesses will be able to put together a message, add an image, then send it out to a group of users who’ve communicated with them on Messenger in the past. 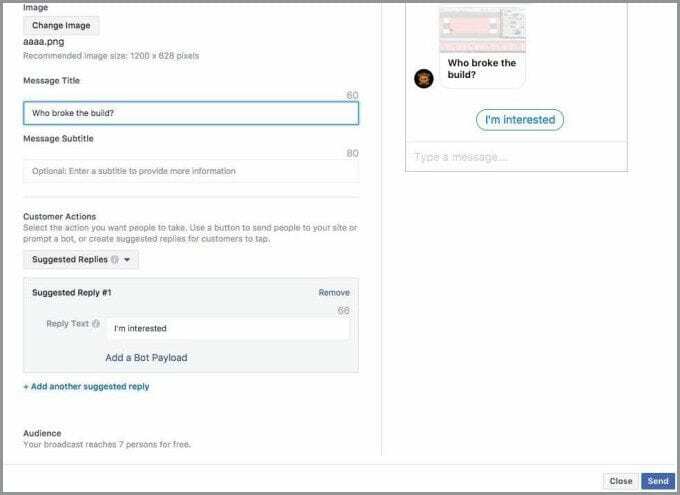 They can segment that group by product or type of interaction to better target their messaging, and they can add a call to action button to streamline response. Most people do not have push notifications enabled for other types of ads but they generally do for messages. So with Messenger the next time you get a ping expecting it to be from a friend the question becomes, will you be disappointed to find that the brand you messaged as a once off is now contacting you with an offer. As with any marketing activity, targeting is key. Participating brands will need to take extra care to ensure relevance with their ad offers, while Facebook will also cap the amount of messages any business can send to avoid overloading users. Right now, the new option is available free of charge for businesses in the U.S., Mexico and Thailand, though Facebook says they’ll be looking to charge for the service down the road. As noted, TechCrunch points out that trusting less tech-savvy businesses to come up with compelling Messenger ads could lead to spam problems, and any direct message ad is going to be interruptive. Getting it right will require a very fine balance. According to The Social Network, there are now more than 2 billion messages sent between businesses and people on Messenger each month, while data shows that users are now more receptive to being sent offers and the like from brands via messaging platforms. Will this new Messenger ad delivery platform work? Facebook has been developing the option for some time, and have no doubt done the math on the likely audience response. Would you bet against Facebook? Looks like we’ll soon find out.